I wanted to reach out to you to say thank you again for giving me the opportunity to be a part of studio2stage. I know it's only been a short time since we performed, but I miss everyone so much and I just keep thinking about all of the fun I had and the new things I learned from this experience. The friendships that I made are so special and the memories will last forever. So thank you studio2stage so much for putting together this professional show, I can't wait to do it again! "Going into Studio2Stage for my second time, I was probably even more excited than the last! I didn't know if the experience could get any better but somehow, it did. 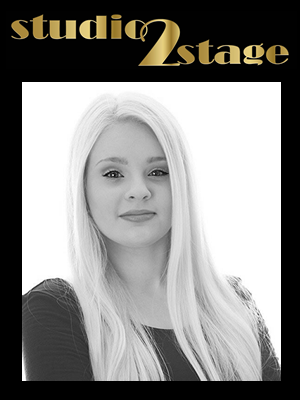 Once again, Studio2Stage allowed me to grow, learn and improve my show dancing skills, competitive dancing skills, and to further experience what life is like on tour. Now I am even more looking forward to dancing in a professional show one day! I so enjoyed meeting new, amazing people, as well as reconnecting with old friends from all over the world. Special thank you to Michelle and Jimmy for putting on another successful year of Studio2Stage, and for creating such an amazing opportunity for young dancers! Thank you to the choreographers, Miriam, Aidan, Craig and Andy for helping me to grow and for challenging us with new styles, and for making it so much fun along the way! Hopefully I will be able to return next year for Studio2Stage 2017 to make even more amazing memories! ? " 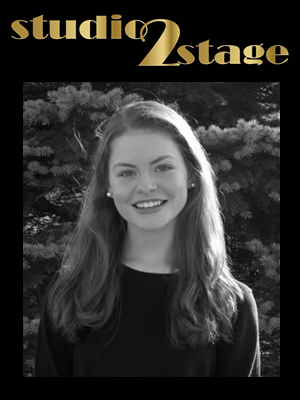 Dear studio2stage team, I'm writing to thank you for such an incredible experience at studio2stage this year! Entering s2s was a little intimidating, because I knew how many established and award winning dancers would be there. However after day one, I knew that this was a place where competition status did not matter and that everyone was there for their mutual love of performing. 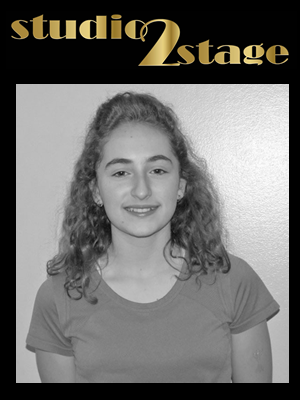 The 9 days I spent at studio2stage reignited my love of music and dance. I am now more determined than ever to be dancing in a professional show in the next chapter of my life. While at Kean University, I had spoken with some of the choreographers as to what steps I should be taking to increase my chances of being recruited by a touring company. One of the tips was to be more experienced in other forms of dance. You'll be happy to know that I've already signed up for contemporary, ballet, and hip hop classes for this coming year. I'm willing to do whatever it takes for my dreams of dancing in a show to become reality. Thank you again for all you do to make studio2stage such a memorable experience! I will surely be back next year and I hope to keep in touch as I work to find show opportunities! Studio2stage was easily one of the best experiences of my life. I was so nervous on the first day to walk through those doors not knowing what to expect. But when I walked in, I finally felt like this is where I belong. 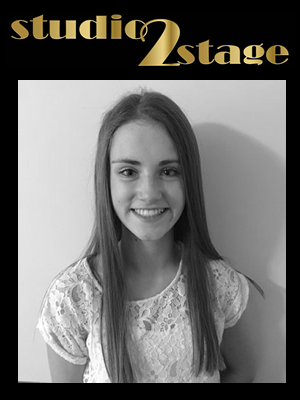 Studio2stage has brought my love of dance and performing even further. It has shown me that one day I definitely want to become a professional dancer. I learned so much from the choreographers and fellow dancers. Everyone worked so well together and always helped one another out. I couldn't wait to wake up every morning to take on the next day's adventure. Being able to put on a show in just 9 days was absolutely incredible. As the curtain closed on that final day, I was wishing we were back at day 1. I didn't want it to end. I met so many new people that are now not only my best friends, but my family and Studio2stage is to thank for that. I wanted to start off by thanking each and every one of you for the most amazing 9 days of my life. 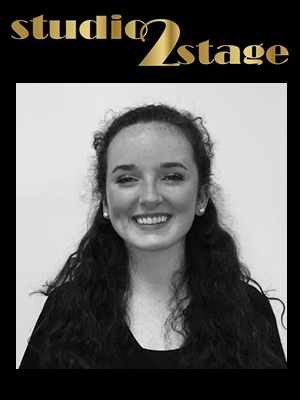 A few of my friends auditioned for studio2stage the first years it was run, but I never pictured myself in the role of a show dancer. However, after being in the audience for last years, "That's Dancing!" I knew I wanted to audition for a chance to be a part of such an amazing production. I sent in my audition tapes hoping for the best and was thrilled when I soon found out I had been offered a place. I was a little nervous coming into the 9 days because I had never done something like this before, but I quickly realized that it did not matter. The choreographers and cast were so welcoming and friendly right away. Every day of rehearsals, I never once found myself thinking about the long hours of dancing, I found myself learning, having fun, and laughing a whole lot. I learned so much about myself and my dancing over these 9 days, especially that being a part of this production meant becoming a part of this family. I never thought I would be even considering pursuing show dancing because the only thing that ever meant something to me was competing, but it is safe to say that after this experience, performing and putting on a show means just as much to me, if not more, than competing ever has. Again, thank you to the production team, the choreographers, and the cast for everything each of you taught me. studio2stage really is one big family, and I couldn't be more proud to have been a part of this year's production.